Love for Pineider is in the air – Write with us! 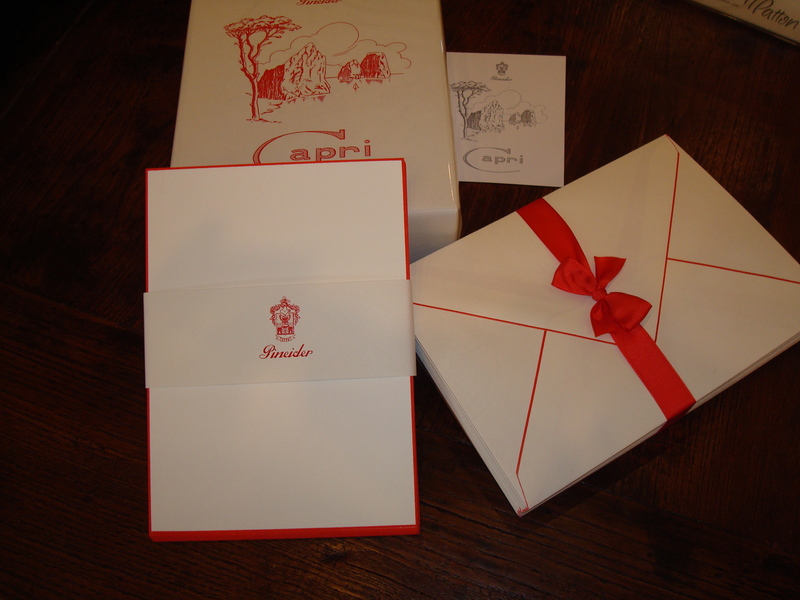 Pineider, made in Italy, is a beautiful line of stationery sold only in a few good stores! 😉 So, I love it when a client calls ‘just to see what we have in stock.’ ‘Not looking for anything in particular, just browsing’…on the phone. After chit chatting for a while, I shared that we have white note cards with red trim in stock. HIS whole mood changed. ‘REALLY?’, he said with excitement in his voice. ‘Can you email me a picture?’ So I opened the boxed and snapped a picture of it. Before I could call him to make sure he received the photo, he had already emailed me his address to send him a box…OVERNIGHT! It IS February and Pineider love is in the air. Another ‘browsing’ client was actually looking for really nice paper to leave his sweetheart love notes all throughout the house leading up to Valentine’s Day. He also decided on Pineider, but red with white trim. How sweet! Sure hope I get red notes all over the house….